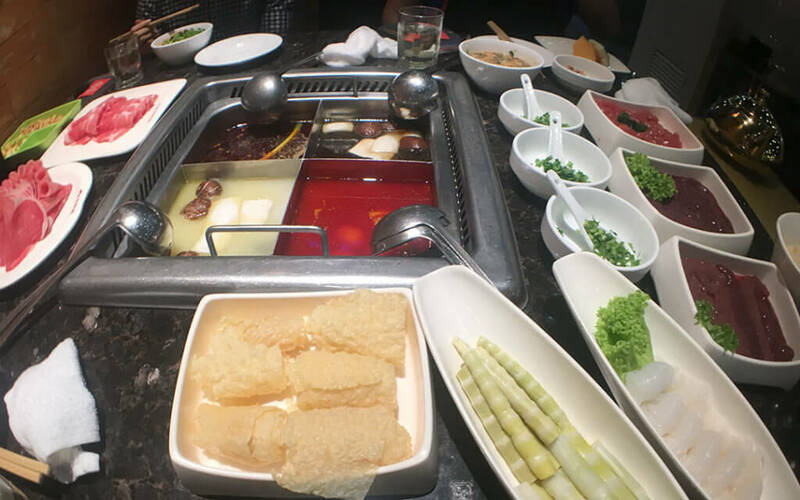 Just recently, I headed out to SG for some Shanghai hot pot, to pick up some personal effects, and to see what it would be like to work remotely for a little while. It turns out that, as long as you've got an internet connection and some sort of portable computer, you can work from various locations, such as, an air-conditioned apartment, an air-conditioned office, an air-conditioned coffee shop, or even an air-conditioned library. The eight-hour time difference means you can get a start on things before the folks at home, or pop out for a spot of shopping beforehand. A slightly later dinner time (around 8 or 9 pm) lines up with UK lunchtime, and then you work into the evening. It helps if you're someone who likes to sleep around 2 am. The 18-hour travelling time between EDI and SIN can be productive, too, as long as the WiFi is decent. And coming into Edinburgh, you can arrive around 6 am, have a quick shower and breakfast, and be at the studio around 8 or 9 am. I would rate this experience a 9 out of 10. I'm taking one point off for the security theatre of modern air travel. However, I would say that Changi Airport deals with this much better than other airports.